Another injured Athulya Kumar’s parents reposed their faith in IISc, and said they do not suspect any negligence on the part of the institute. 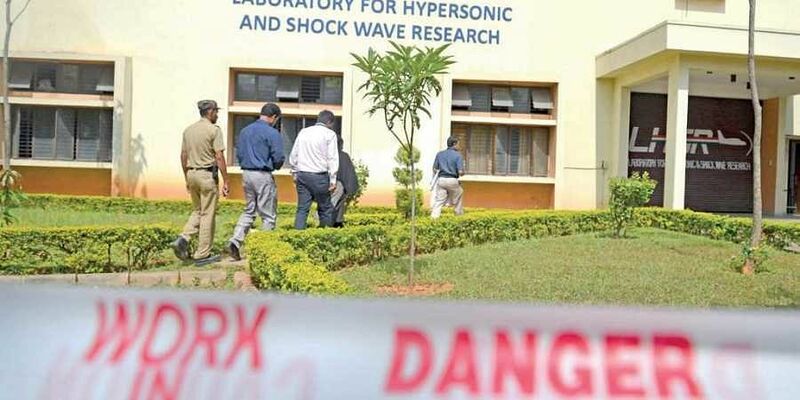 BENGALURU: Indian Institute of Science (IISc) Director Anurag Kumar on Friday afternoon visited the engineers, who are undergoing treatment at MS Ramaiah Hospital after being injured in a cylinder blast at the institute. He met the family members and offered the injured moral support during their recuperation. He also assured the relatives that the institute will cover the medical expenses in excess of insurance cover of the three injured employees of the Super Wave Technologies Pvt Ltd.
Fifty-eight-year-old Girija, mother of injured Naresh Kumar (33) said the institute has assured to take care of them. She added that they haven’t had any out-of-pocket expenditure for their medical expenses, at least not yet. “Naresh’s older brother Kishore was recently married and we thought we could get Naresh married as well after he relocated to Chennai. His friends, colleagues and students of IISc volunteered to donate blood, if needed, and any support we need,” she added. While Naresh Kumar and Kartik Shenoy are on ventilator, Athulya may be shifted to the ward by the end of Friday, doctors said. The IISc, in a statement on Friday, said it will release an ex-gratia compensation of Rs10 lakh to the wife of the deceased engineer Manoj Kumar P on humanitarian grounds.